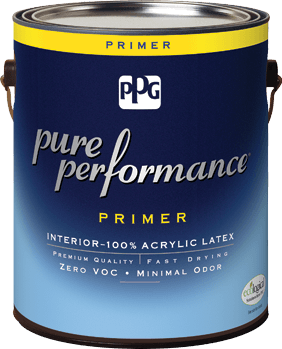 Our premim low odor, zero-VOC* (volatile organic compounds) primer is designed to meet the performance requirements of the institutional, commercial, and residential markets. The PPG logo is a registered trademark and Ecological Solutions from PPG is a trademark of PPG Industries Ohio, Inc. 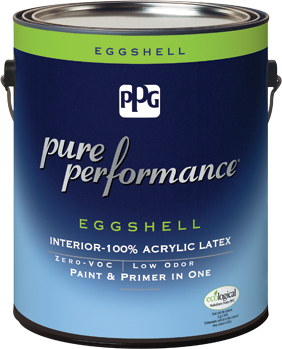 Pure Performance is a registered trademark of PPGArchitectural Finishes, Inc. The GREENGUARD Indoor Air Quality Certified Mark is a registered certification mark used under license through the GREENGUARD Environmental Institute. LEED is a registered trademark of the US Green Building Council. The Master Painters Institute and MPI are registered trademarks of Master Painters Institute, Inc. Many jobs require a specialty primer as part of a primer and topcoat system even if you're using a paint and primer in one. Use this chart to help determine when a primer is necessary and see technical information to help determine what primer is right for your job.